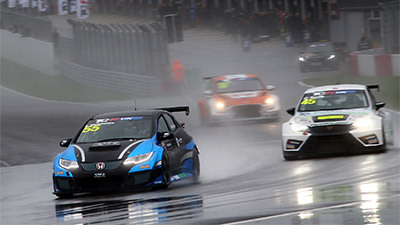 Pictured Charlie Fagg and Romain Sarazin team-up for first time at Silverstone GP. Charlie Fagg and Romain Sarazin team-up for first time at Silverstone GP. First year GT4 European Series Northern Cup team SWR made a very fruitful visit to Silverstone Grand Prix Circuit on Monday, 20th March, where new team-mates Charlie Fagg and Romain Sarazin worked together for the first time with just under two weeks to go until the start of the season. 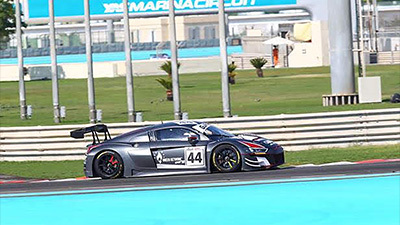 With round one at Misano in Italy fast approaching, SWR has been pushing on with its preparations ahead of its maiden season in the GT4 European Series. 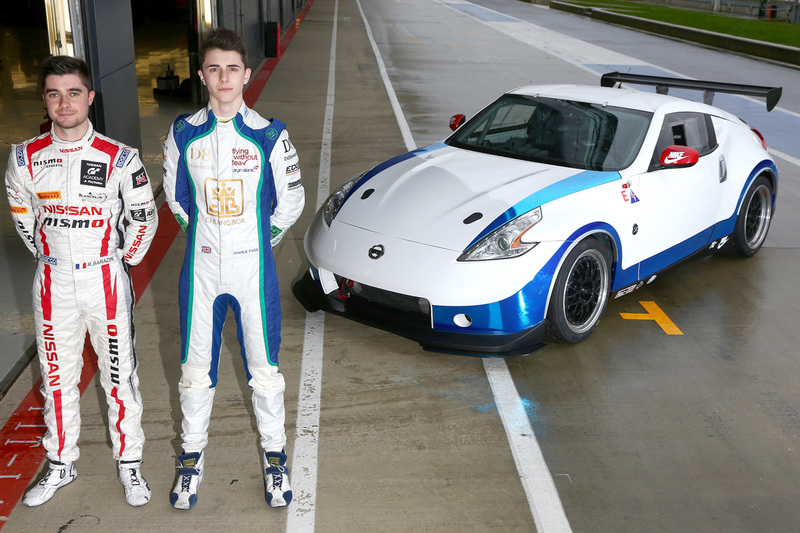 As with its previous outings at Silverstone in recent weeks, the Oxfordshire squad performed very strongly indeed. 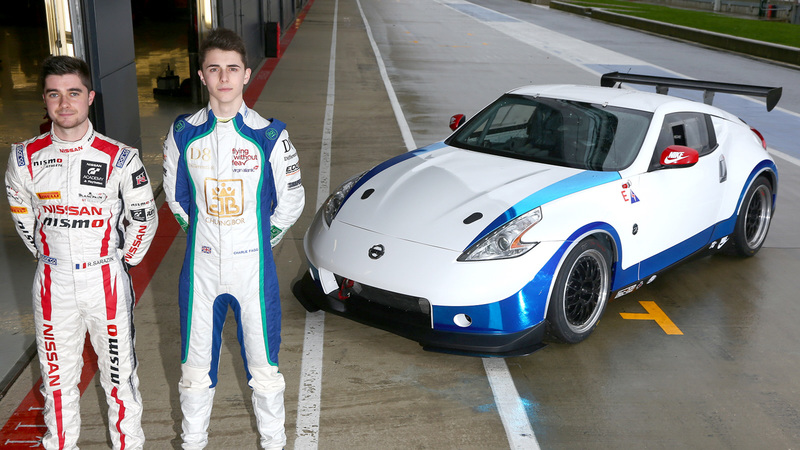 While a wet track was prevalent throughout the day, a drying line later in the afternoon still not sufficient to enable slick tyres to be utilised, Durham teenager Fagg and French team-mate Sarazin made the most of the track time available, gelled well and enjoyed their first test together sharing the Nissan 370Z GT4. “The test went very well”, said an elated Fagg, “For me it was the first time I had felt ABS and traction control really working in the wet conditions. The car had no problems at all and that showed as we both had very good pace. Sarazin was equally bullish about his maiden outing with SWR and he was very complimentary regarding his rookie team-mate’s performance. 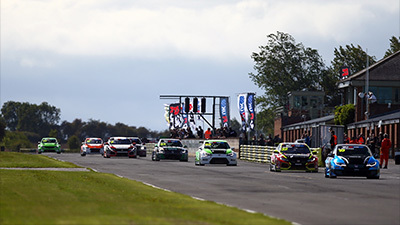 He said: “My first contact with the team was great, we worked well on the car in very wet conditions at Silverstone – and it felt amazing to be back in a race car. It was nice to meet Charlie for the first time as well, he is a really nice guy. Misano in Italy will host the first round of the 2017 GT4 European Series Northern Cup over the weekend 1st/2nd April. 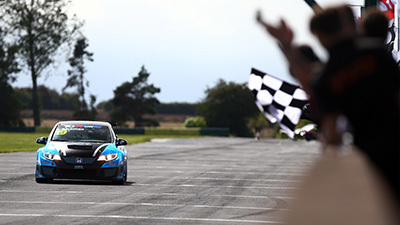 Visit www.gt4series.com for more information.